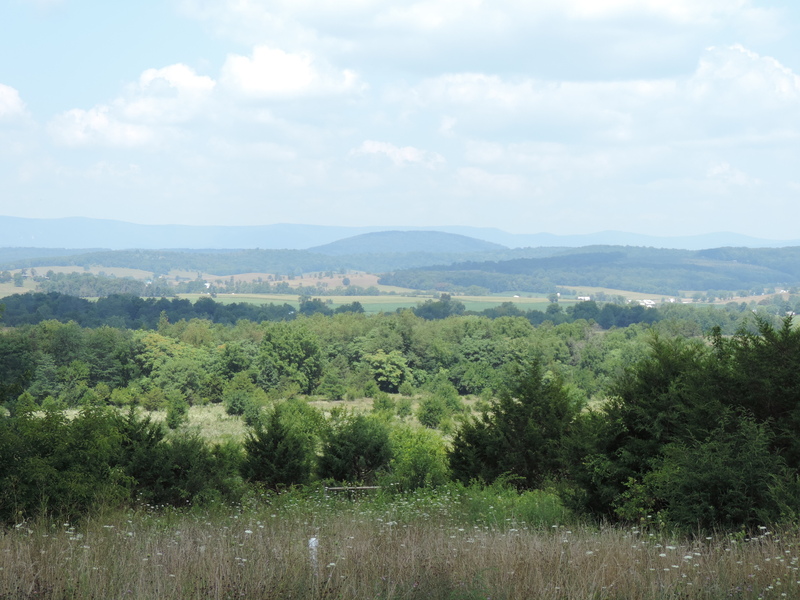 My first visit to Virginia took me to Shenandoah County near Mount Jackson. I spent the day there with my Dad on 04 August 2014. We were looking for the location of the land and burial of Samuel Overholtzer (1729-1783), my 6th Great Grandfather, among others. Samuel Overholtzer came to America with his father, Jacob, a widower, and his sister, Elizabeth (age 6). They arrived in Philadelphia on the Ship Samuel on 11 August 1732. He was about age 3. This information can be found in several publications and books. 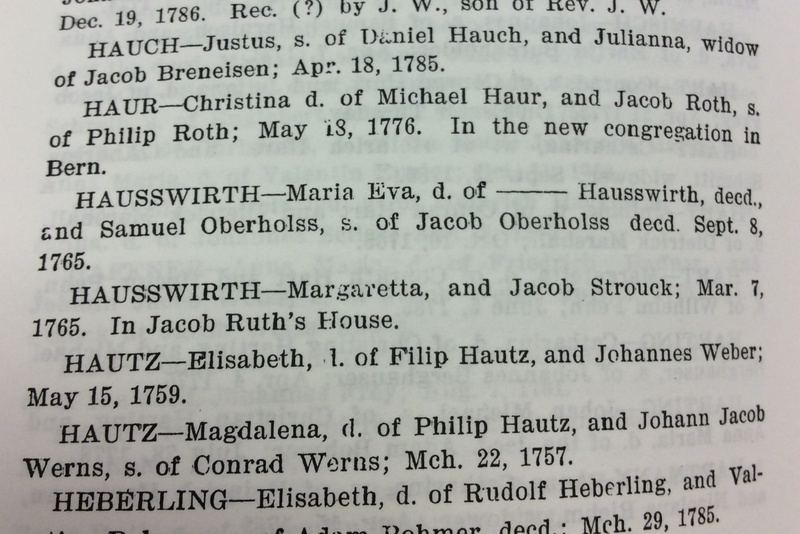 At the time of my visit, the first known evidence of Samuel Overholtzer was his marriage to Maria Eva Hausswirth. Reverend John Waldschmidt recorded the marriage on 08 September 1765 found on page 226 in the book Baptismal and Marriage Records, Rev. John Waldschmidt. At the time of their marriage, both Christian Hausswirth and Jacob Oberholtzer, their fathers, were deceased. This map can be found on Jeffrey La Favre’s website here. 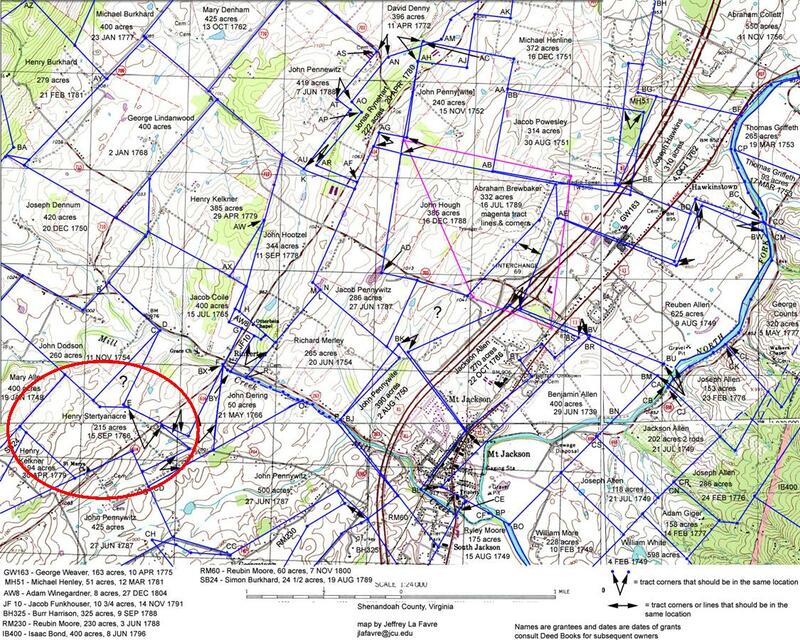 This map shows the land owned by Henry Stertyanacre. The deed for the transfer from Henry Stertyanacre to Samuel Overholtzer can be found in Frederick County Deed Book 15, pages 154 and 155. 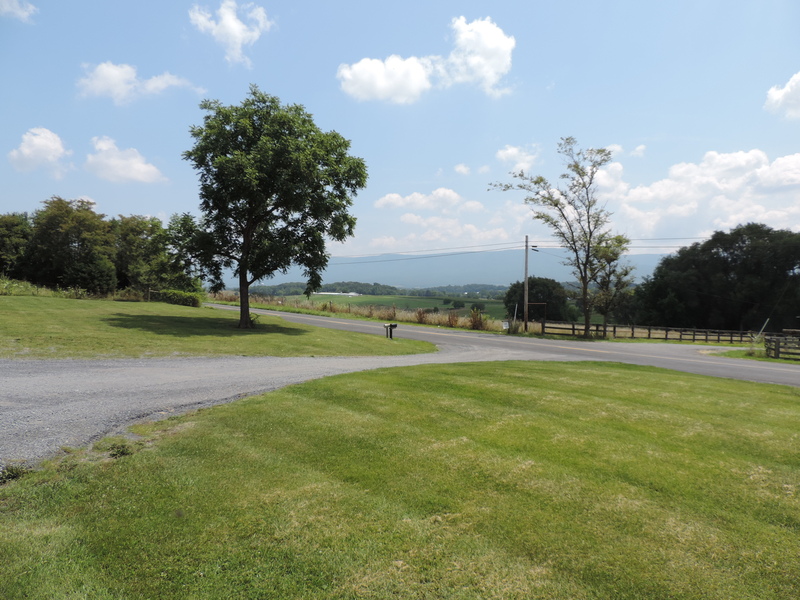 In 1772, the area became known as Shenandoah County. 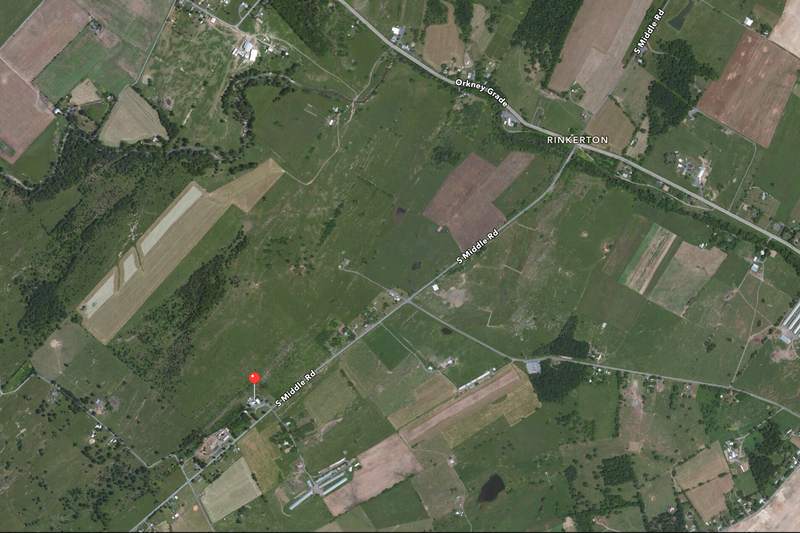 After Samuel’s passing in 1783, his eldest son, Peter, deeded the property to Michael Koontz on 24 August 1814. This deed can be found in Shenandoah County Deed Book V, page 238. 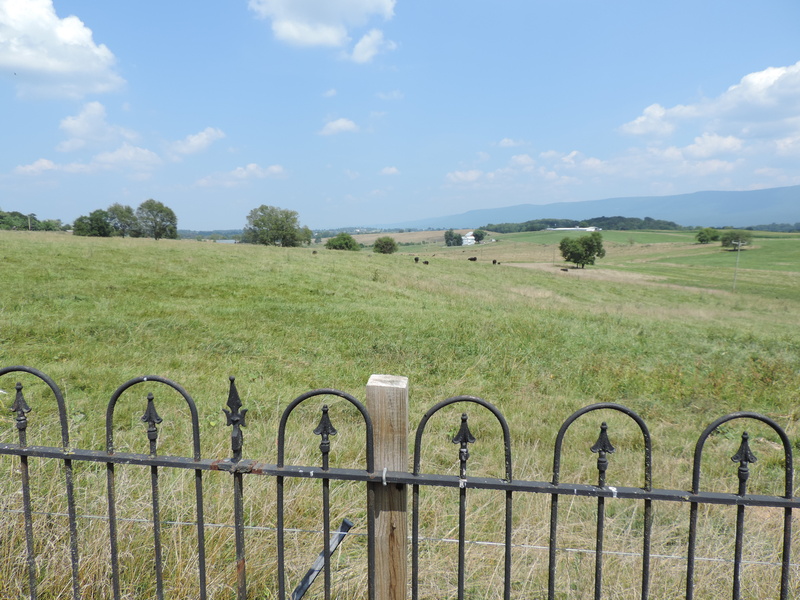 It is unknown where Samuel and Maria were between the time of their marriage in Lancaster County, PA and the purchase of this land in Frederick County, VA. Peter is believed to be the oldest child born to Samuel and Maria. His birth is given on his grave marker as 04 July 1766. This would mean Maria was pregnant within the month of their marriage. Some have indicated Peter was born in Virginia. Other have said the only child born in Virginia was the youngest, Jacob, born 02 July 1777. At this time, I believe the children of Samuel and Maria are: Peter, Barbara, Eve, Samuel, Ann, Veronica, Susannah, and Jacob. It is unknown where Samuel and Maria Eva Hausswirth Overholtzer are buried. The red pin represents St. Mary’s Pine Lutheran Church. The Google Map can be viewed here. This is the outline of Samuel Overholtzer’s land superimposed over the Google Map of St. Mary’s Pine Lutheran Church. View of the land from behind St. Mary’s Pine Lutheran Church looking Northwest. This is the view of Samuel’s land as seen from the front of St. Mary’s Pine Lutheran Church looking towards the Eastern portion of his property. This is the view of Samuel’s land looking towards St. Mary’s Pine Lutheran Church where the cemetery is located. 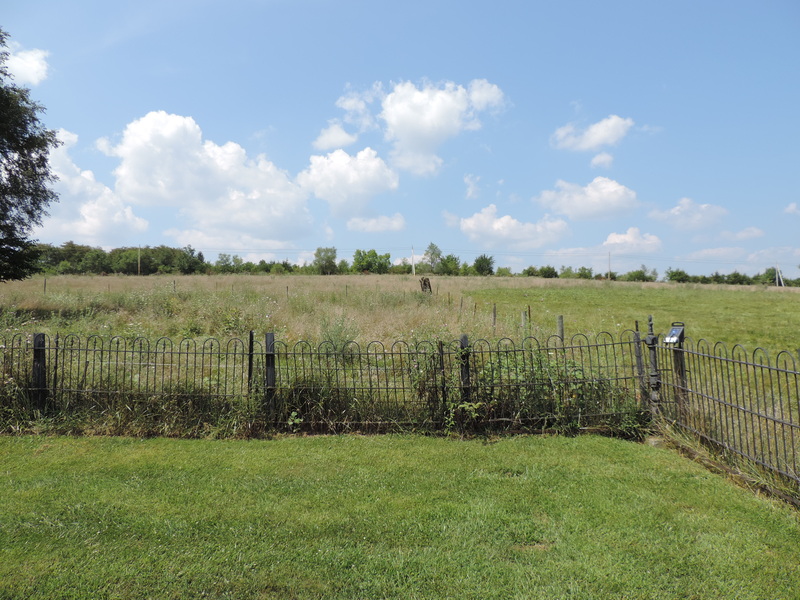 This is a view of the land from the cemetery to the East. It is possibly where the original homestead could have been. Melanie, thanks so much for doing all of this work! Amazing…fascinating…alive! The photos help tremendously!